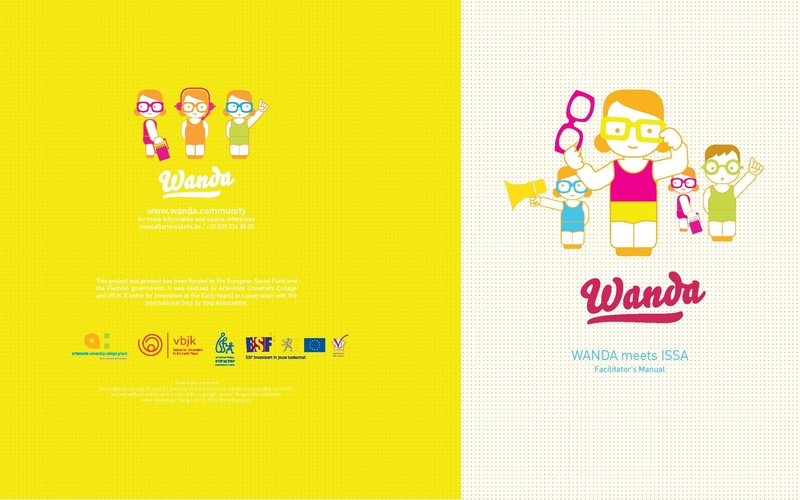 To develop a new method of professionalization for low qualified practitioners in the 0-3 sector of the Flemish Community of Belgium, in 2010 Artevelde Hogeschool (University College in Gent) and VBJK (Center for Innovation in the Early Years), with ESF (European Social Fund) funds, started a project called WANDA . The methodology used in Wanda has its roots in the French ‘Analyze de Pratiques’ and in the Anglo-Saxon ‘Appreciative Inquiry’. The Wanda project is a new adaptation of these two methods, that has been successfully developed in 12 ECEC initiatives and in 7 training centers in the Flemish Community of Belgium. The Wanda methodology has also been tested in 4 pilot countries in Europe, and has proven its value. The framework in which this method takes place is the “reflective practitioner” (Shön, 1983) and the concept of “competent system”. In order to reach quality in the educational system, we need practitioners that are able to negotiate, to deal with uncertainty, to reflect on the meanings of what they think and do (Schön, 1983), to question themselves and constantly find the balance between agreement and disagreement in the group, as stated also in the document edited by the DECET/ISSA Working Group on Professionalism (DECET/ISSA, 2011). The Wanda method aims to increase the professional development of low qualified practitioners and to improve the reflective competences of this group in a context of increasing diversity. This hands-on manual provides insight in the background of the methodology, a clear facilitator manual, as well as toolbox to facilitate sessions.